The PADI Enriched Air Diver course is the most popular diver speciality course and the number of technical divers is on the rise, which means that lots of scuba divers want enriched air and gas blends. So, there needs to be someone qualified to administer these fills to meet this demand. 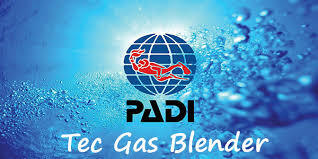 This is where the PADI Gas Blender course comes in. For technical divers in particular, undertaking this course gives you a full appreciation of the safety protocols, risks and hazards of handling gas mixtures as well as increased understanding of the gas you are breathing or planning to use, but this course is not limited to technical divers. Are you looking to work in a Dive Centre / Resort, then this is a key skill requirement complete the course and expand your career prospect. Qualification to blend enriched air within one percent of the target mix as measured by oxygen content. Knowledge of the advantages and disadvantages of different blending methodologies. Understanding of the potential hazards related to handling oxygen, and how to manage those hazards. Explain the steps for oxygen cleaning. The course includes Knowledge Development and Practical Applications over 1 day with some prior learning requirements. Date not convenient, not an issue, ​​​​​​contact us to discuss availability and scheduling to suit.